The American way-independence, entrepreneurialism, liberty-has been under assault for decades. The cultural foundations of the United States and its institutions are devolving along the line of some futuristic apocalyptic novel and producing social, moral, and economic dry rot that can lead only to chaos and ruin. Attacks on individuality, freedom, and personal responsibility for most of the last century have resulted, as Alexis de Tocqueville once predicted, in a gradual degradation of the people and the descent into slavery of once-free people. 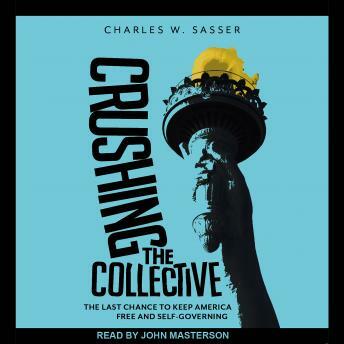 Crushing the Collective illuminates the very real dangers of the socialistic mind-set that is currently threatening Americans' freedoms and the very existence of our great nation. As Benjamin Franklin said, 'When the people find that they can vote themselves money, that will herald the end of the republic.' Therefore, we must know the destructive history of nations drawn into the collectivist deceit, or we will be doomed to follow their same paths.